July 2 — Digging though the videotapes, more classic Orlando newscasts have been found. Among them is a 1993 weekend opening for WESH’s "2 News" at 11, with a very young Wendy Chioji. She’s now the main 5, 6 and 11 anchor on WESH. Also among the WESH finds are a 1997 noon opening for "NewsChannel 2," just before they changed their graphics. A preview of those new graphics can be seen in a promo hyping WESH’s new 4:30 newscast, which launched in September 1997. It bounced around from 4:30 to 4 before being canceled a couple of years later for "Judge Judy." Not to leave out the other stations, there’s a 1994 11 p.m. promo for WCPX’s "6 News" with David Wittman (now in Cleveland). Also, there’s a historic 1990 opening to WFTV’s "Eyewitness News Tonight" at 11, the first newscast in Orlando to feature two women as the main anchors. The arrangement didn’t last very long, and Bob Opsahl went back to the 11 p.m. newscast with Marla Weech. You can find all the videos in each station’s channel area here on the site. Current openings for the Big 4 news stations in Orlando — including WOFL’s Good Day Orlando and WKMG’s rebranded morning show, Local 6 First News — have been added to the site under each channel’s area below. Still on the site are the "classic videos" from Central Florida’s newscasts of the past. By the way, the most popular of these classic videos — based on the number of times they have been viewed by visitors to this site — is WESH’s 1991 "2 News" at 5 p.m. opener. The big concrete tower in the opening, for those outside the Orlando area, is a landmark at the station’s studios next to Interstate 4. SuperDoppler 2 sits atop it. WOFL-Channel 35, the longtime Fox affiliate for Orlando, got closer to the network on Monday, June 17, when ownership of the station passed into Fox’s hands. 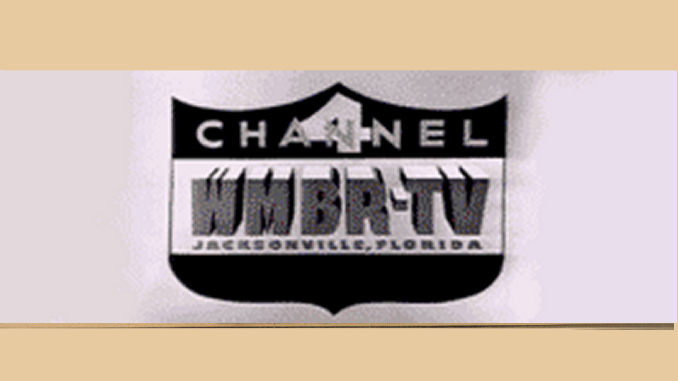 It’s part of a three-station swap involving WOFL, Ocala Fox affiliate WOGX-Channel 51 and Portland UPN affil KPBT. Meredith Corp. traded WOFL and WOGX to Fox Broadcasting for KPBT. The move gives Fox a duopoly in Orlando, with WOFL and UPN outlet WRBW-Channel 65. Expect to see changes, including dumping Channel 35’s cool palm tree logo for a bland Fox corporate ID.